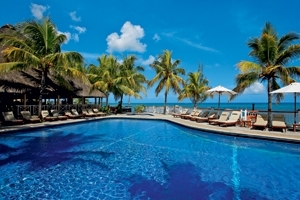 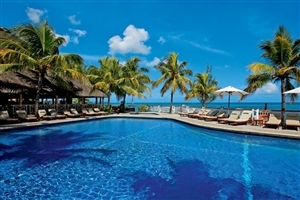 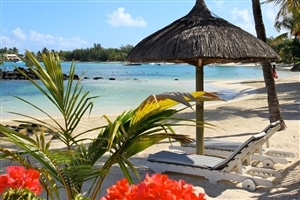 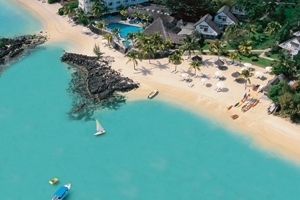 A charming blend of three-star value and tropical splendour, Merville Beach, Grand Baie enjoys a privileged location on the northern shore of Mauritius in Grand Baie. 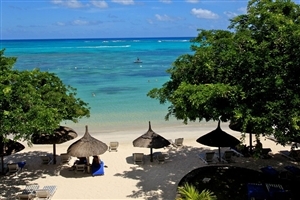 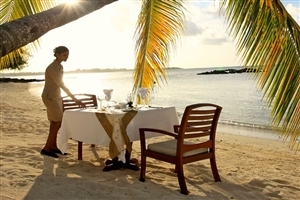 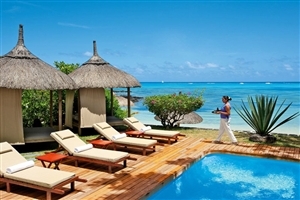 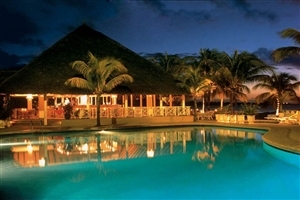 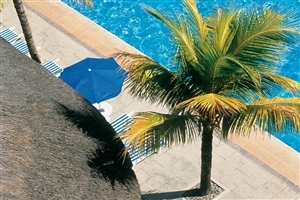 With nearly each of the 169 guestrooms and suites overlooking the Indian Ocean, Merville Beach, Grand Baie is an excellent choice for those who wish to wake up to beautiful views every day, while facilities include the lavish Spa, the convivial Le Badamier restaurant and Scuba Diving in the surrounding lagoon. 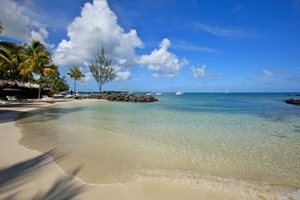 Merville Beach, Grand Baie is also well positioned for guests to take advantage of the shopping and entertainment options available in Grand Baie. 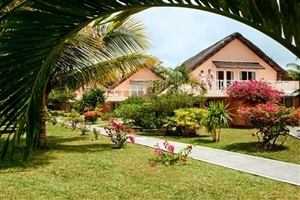 Nestled in a secluded bay on the north coast, the popular Merville Beach is just a 10-minute walk from the lively resort of Grand Baie. 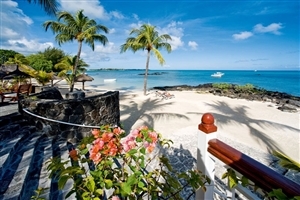 All 169 sea-facing rooms are spread out through the hotel's tropical gardens. 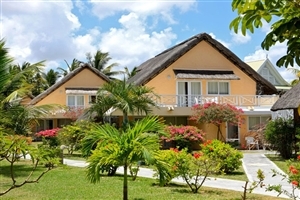 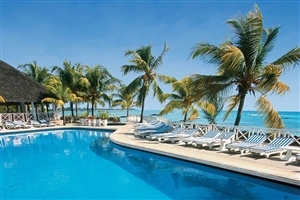 The swimming pool overlooks the picturesque white sandy beach, fronting the property. 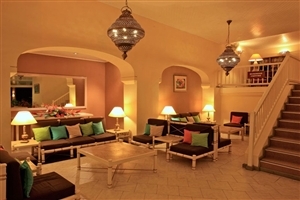 For a more rejuvenating experience, there is a delightful spa offering superb treatments. 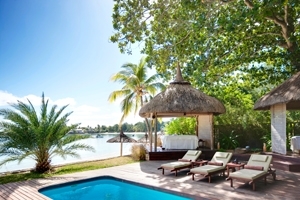 The relaxation area boasts fantastic views of the stunning lagoon. 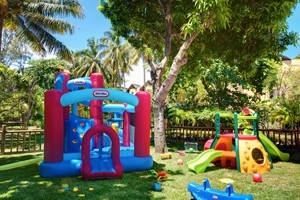 Furthermore, Merville Beach is committed to treating each and every guest to original, unexpected and delightful experiences through the adoption of its unique Island Light concept. 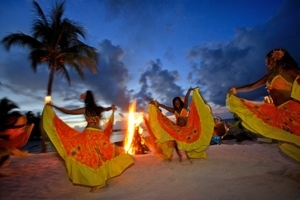 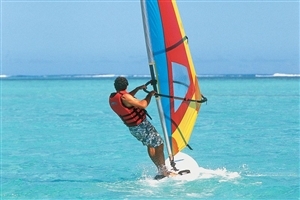 This may include on-beach film screenings and yoga classes, smart touches that ensure each guest enjoys a fun and memorable holiday experience. 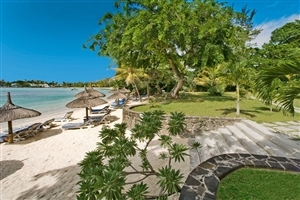 The Standard Room at Merville Beach offers guests 29sqm of accommodation space and are pleasantly decorated with Creole elements to complement the colourful Mauritius surroundings. 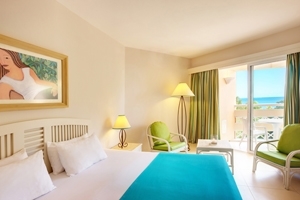 The Superior Room at Merville Beach offers guests 32sqm of accommodation space and showcases a contemporary and attractive interior design. 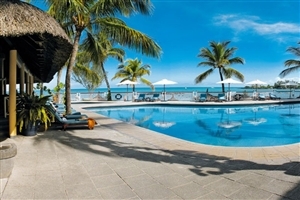 The Beachfront Room at Merville Beach offers guests 30sqm of accommodation space and are conveniently located just steps from the beautiful sandy beach. 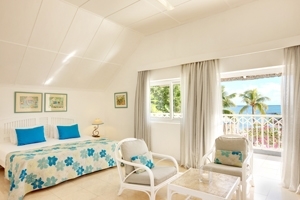 The Bungalow Room at Merville Beach offers guests 34sqm of accommodation space where the bold décor and splashes of colour create a radiant atmosphere. 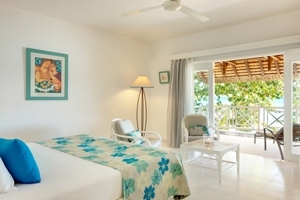 This private cottage-style setting features a private sunbed on a balcony or terrace. 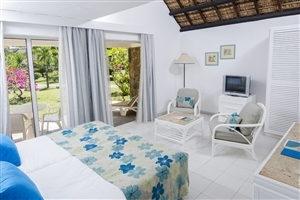 The Family Deluxe Room at Merville Beach offers guests 42sqm of accommodation space and are ideal for those travelling with children. 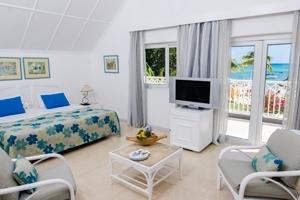 The room features plenty of room to roam and includes a private balcony. 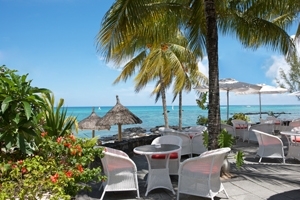 Le Badamier - Delicious and varied selection of fine cuisine inspired by Chinese, Creole and French traditions, yet all created with a hint of Mauritius in them. 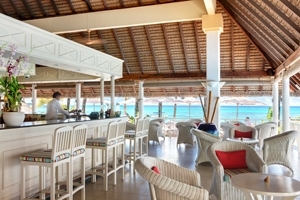 The Pizzeria serving tasty crispy crust pizza is appealing to all and is tucked away in the corner for those wanting a quick bite to eat.